When world governing body the FIH first sat down and discussed introducing the new global FIH Pro League, they could only have imagined the first fixtures would produce such excitement and drama. 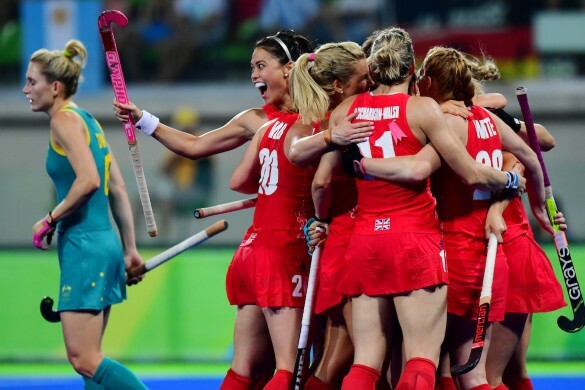 In what was a great advert for the new competition, Great Britain came from 4-1 down to record a stunning victory after successfully defending three penalty corners in the final few seconds as both teams saw the importance of victory and left everything on the pitch in search of the win. Just a few days earlier, Spain scored twice in the last minute before winning their opening match in a shootout, so the new global league has started superbly. Every game matters in the FIH Pro League, and that much was evident as either side fought valiantly throughout the match. Adam Dixon recorded a brace with Zach Wallace, Mark Gleghorne, Phil Roper and David Condon also getting on the scoresheet. Head Coach Danny Kerry was left understandably very upbeat with the result. “I’m delighted for the lads, as well as the staff. Spain got off to the perfect start, scoring within the opening two minutes after a dangerous cross from the right baseline was met by Xavi Lleonart.Great Britain responded quickly through Dixon with a clean strike sailing past Mario Garin in goal. The hosts continued to press forward, coming close to scoring through a penalty corner only to be denied by a fine save from Harry Gibson. Spain couldn’t be halted in a free-scoring first quarter as Marc Bolto put the hosts 2-1 up with less than ten minutes played. There were to be two further goals from Spain as Diego Arana and Albert Beltran both got onto the scoresheet for the rampant Redsticks with little more than ten minutes on the clock. Wallace did make the breakthrough for Great Britain for the final goal of the half as intricate play inside the inner circle was well finished by the Surbiton man. 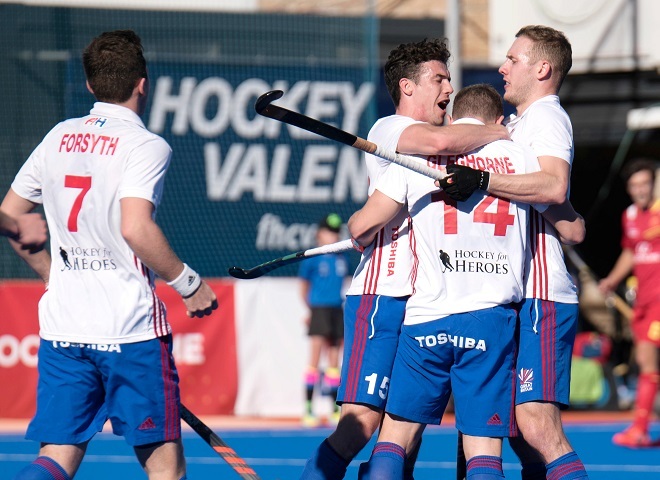 That momentum continued into the second-half for Great Britain with Sam Ward and Chris Griffiths firing wide before Gleghorne successfully found the target from a penalty corner. Another penalty corner swiftly followed, this time Dixon bagging his brace with a well improvised finish from close-range. Within a minute of the final quarter commencing Great Britain were back in front thanks to a superb strike from Phil Roper from the edge of the circle, putting the score at 5-4. 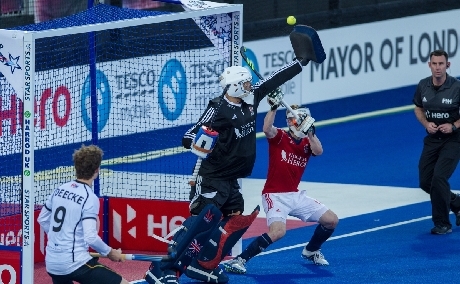 As the clock ran down Great Britain looked to have put the game out of sight as Sam Ward’s shot was blocked by a man on the line, however it fell directly to David Condon who finished well on the volley. With less than three minutes remaining Spain pulled one back through Alvaro Iglesias from a corner routine to ensure a frantic final few minutes. 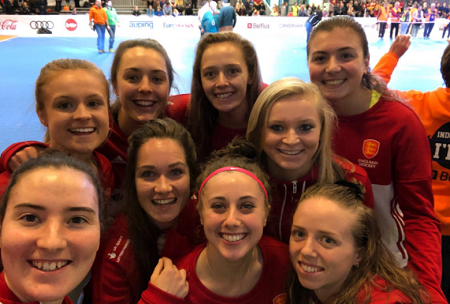 It was to be a nervy finish as Great Britain had to defend three penalty corners within the final few seconds of the match with excellent defensive work seeing the game out. Next up for Great Britain in the FIH Pro League is an away fixture against New Zealand, which will be played live on BT Sport at 4am on Friday 8 February.